We’re officially deep into winter and beginning to feel the effects of the dry, cold winter air. The lack of moisture in the air causes your hair to become dry, brittle and susceptible to breakage. You can protect your hair from harsh winters by adding hair butter into your hair regimen. What is hair butter and what is it used for? Hair butter is a natural blend of organic oils and unrefined butters that acts as a moisturizing sealant to protect your hair from dryness and breakage. A hair butter can be mixture that contains natural butters (shea and cocoa butter) and oil (like castor, coconut, and avocado oil). Check the ingredient label on the product package to see that it contains moisturizing ingredients that react well with your hair, like the Aunt Jackie’s Flaxeed Recipes Seal It Up Hydrating Sealing Butter which is enriched with flaxseed, shea butter, avocado & castor oil, honey for healthy hydration. 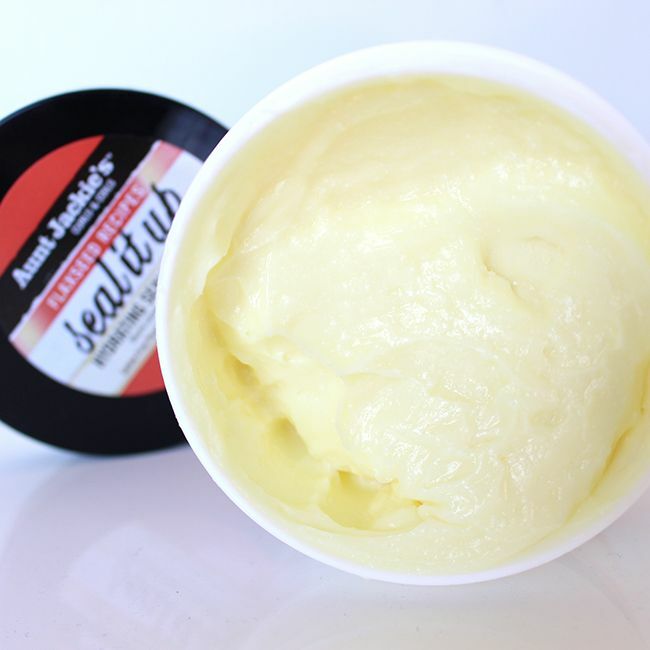 Hair butter is great for protective styles such as a twist out, braid out, and a sleek bun. It can be applied daily on both dry and damp hair. Use hair butter after you applied a leave-in-conditioner. It should be the final step before you style. It’s best to use hair butter for protect styling as it helps to create a smooth, defined look. Don’t use a hair butter if you are planning on a straightened style. Hair butters are heavy sealants and can weigh your hair down. Don’t hold on to the same hair butter for longer than its shelf life. Check the bottle for the M symbol that tells you how long it is good for after opening. Throw out your butter once you’ve reached that date or once you notice a strange smell. Don’t mix hair butter with a heavy sealant, as it can cause product buildup. This post is sponsored by Aunt Jackie’s.